(Reuters) - U.S. defense contractor CACI International Inc said on Sunday it had offered to merge with larger peer CSRA Inc, seeking to disrupt the latter's $6.8 billion acquisition by General Dynamics Corp. The move comes after CSRA agreed last month to sell itself to General Dynamics, another defense contractor, for $40.75 per share in cash, as companies in the sector seek to position themselves for a pickup in government spending under U.S. President Donald Trump's administration. CACI's shares have jumped by more than a fifth in the last four months, emboldening the Arlington, Virginia-based company to use its stock as currency to pursue a transformative deal. CACI has a market capitalization of $3.9 billion, compared with CSRA's $6.7 billion. CACI's $44 per share offer for CSRA consists of $15 per share in cash and 0.184 CACI shares for each CSRA share, CACI said in a statement. Under the terms of CACI's offer, CSRA shareholders would own 55 percent of the combined company. CACI said it expects to realize $165 million annually in net run-rate cost synergies, beating the cost benefits of CSRA's deal with General Dynamics. It also argued its stock would make the deal more attractive to CSRA shareholders. CSRA said on Sunday that its board of directors, in consultation with its legal and financial advisors, will carefully review CACI's proposal. General Dynamics' tender offer is currently scheduled to expire on April 3. 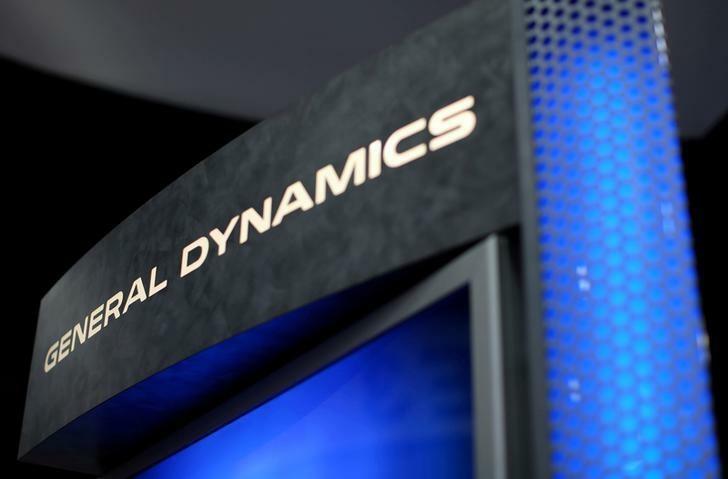 General Dynamics said later on Sunday it believes its all-cash offer is superior to CSRA shareholders and that it intends to proceed with the offer to buy CSRA. "General Dynamics has secured all necessary regulatory approvals and has the funding in place to complete the transaction in early April," it said in a statement. CSRA provides information technology and related services to the U.S. Department of Defense and the intelligence community. General Dynamics is hoping that CSRA will help it grab more of the recently increased U.S. defense budget. Under the terms of their deal, CSRA would have to pay General Dynamics a $204 million breakup fee to do a deal with someone else. CACI has also been seeking to build scale through dealmaking. In 2016, it acquired the government services division of L3 Technologies Inc for $550 million in cash. It also made an unsuccessful offer to merge with Lockheed Martin Corp's government information technology and services businesses. Other recent deals in the sector include U.S. defense contractor Northrop Grumman Corp's agreement last September to buy Orbital ATK Inc for about $7.8 billion, a deal that gives it greater access to lucrative government contracts and expands its arsenal of missile defense systems and space rockets. CACI on Sunday also raised its 2018 diluted earnings per share guidance from its previous $10.95 to $11.19 range to a new range of between $11.26 and $11.50.